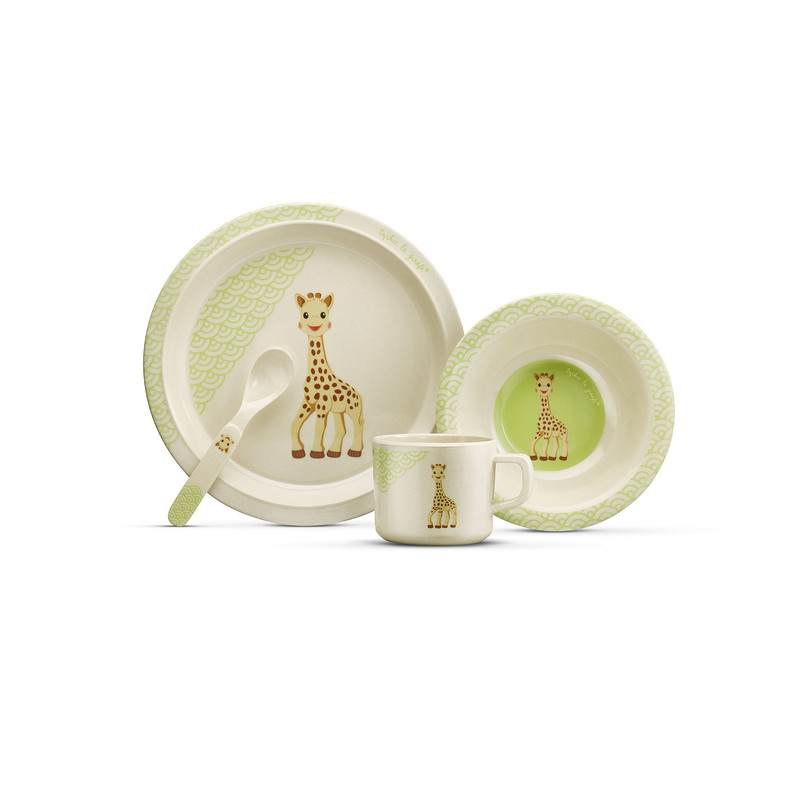 Make mealtimes fun with this giraffe themed dinner set. 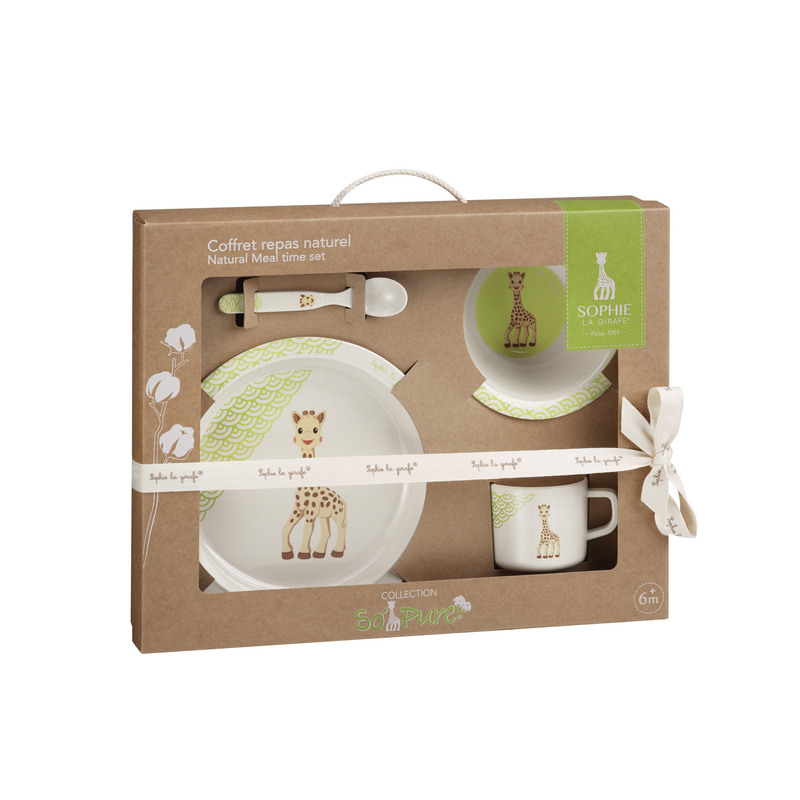 These cute giraffe mealtime accessories include a charming mix of giraffe illustrations. Each accessory is made from natural materials including bamboo, corn and wood, a great alternative to plastic. 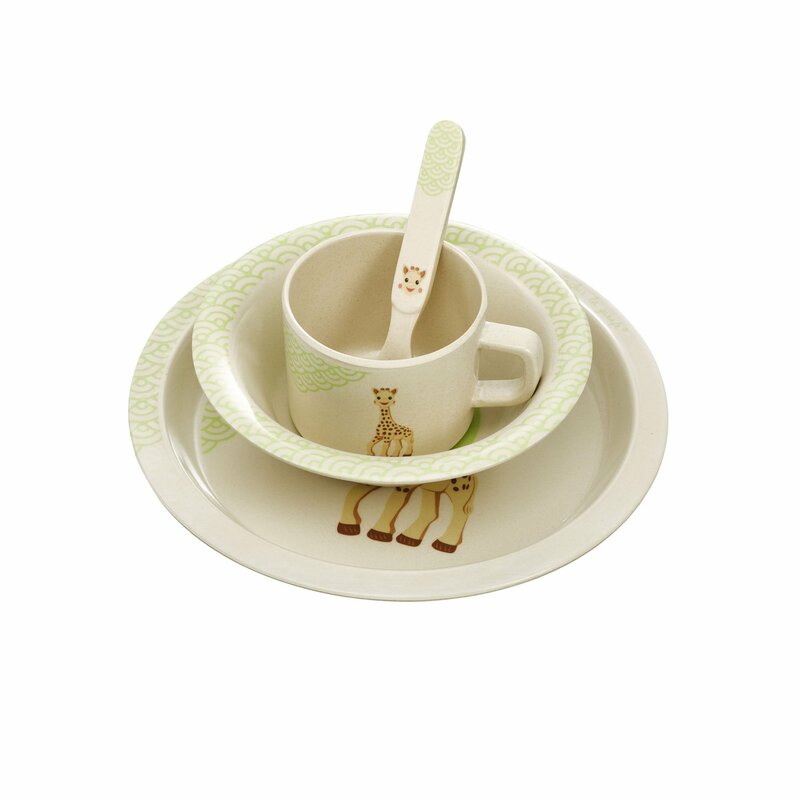 Each piece is the perfect size for small hands to hold. To be honest, the only downside I can really think of is that our baby isn't keen on the spoon as it's thinner than the usual spoons you get with baby crockery/cutlery sets. It still isn't suitable for a microwave but the design is adorable, it's eco friendly, and the box it comes in is lovely too. Great delivery, and a really sweet handwritten note from the team.